Perspectives on Family Ministry makes the case that every church is called to some form of family ministry-but not just another program to add to an already packed schedule. According to Timothy Paul Jones, the most effective family ministries engage parents in the act of discipling their children, drawing family members together instead of pulling them apart. 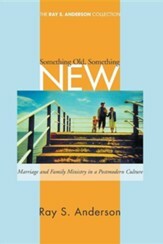 He writes here about the historical contexts and foundations of family ministry and then invites three effective practitioners to explain clearly how your church can make the transition to family ministry. 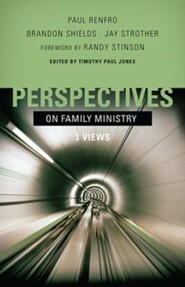 In Perspectives on Family Ministry, Timothy Paul Jones makes the case that every church is called to some form of family ministry—but what he means by "family ministry" isn’t simply one more program to add to an already-packed schedule! 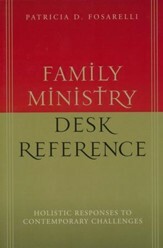 According to Jones, the most effective family ministries involve refocusing every church process to engage parents in the process of discipling their children and to draw family members together instead of pulling them apart. Jones sets the stage with introductory chapters on the historical contexts and foundations of family ministry. 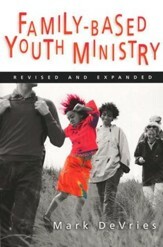 Then, three effective practitioners show clearly how your church can make the transition to family ministry. Paul Renfro (pastor of discipleship at Grace Family Baptist Church in Spring, Texas) writes in favor of Family-Integrated Ministry, where the emphasis is on intergenerational discipleship. 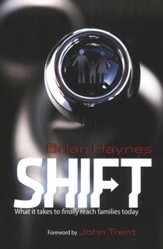 Brandon Shields (minister to high school students at Highview Baptist Church, a multi-site megachurch in Kentucky and Indiana) supports Family-Based Ministry—ministry that organizes programs according to ages and interests but also develops intentional activities and training events to bring families together. Jay Strother (minister to emerging generations at Brentwood Baptist Church in Tennessee) prefers Family-Equipping Ministry, maintaining age-organized ministry while reorganizing the congregation to call parents to become active partners in the discipleship of their children. Timothy Paul Jones is assistant professor of Leadership and Church Ministry at The Southern Baptist Theological Seminary in Louisville, Kentucky. His previous books include Misquoting Truth and The Da Vinci Codebreaker. His research has also earned the Baker Book House Award for theological studies. 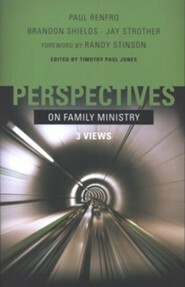 I'm the author/artist and I want to review Perspectives on Family Ministry: 3 Views.